The town of Arcos de Valdevez, boasting nine centuries of history, is located in the Minho region and sits beside the Rio Vez. It is one place that should not be missed and on a quick stopover at the end of the day there recently, I was taken to a must-do place to see – Delfim’s Tasca. Portuguese tascas or adegas, as they are sometimes known, are a heritage on their own. Usually located in very old buildings that have been in existence for decades, they are no-frills bars/eateries where one can mix in with the locals and enjoy food specialties and local wines from the region. Most of them have a tiny space, few or no tables and chairs, literally just standing room, and of course a bar where on having a petisco (type of tapa) and a glass of wine, you get to meet and indulge in conversation with your neighbour. 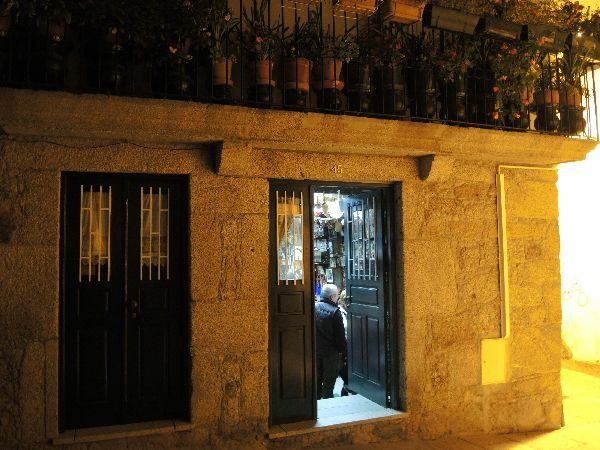 Delfim’s Tasca is a perfect example of this and attracts many people inside its cosy interior. From the moment one walks through the door and down the steps, one is confronted with an interior jam-packed with everything and anything that is connected to the region or that can be considered a collector’s item. 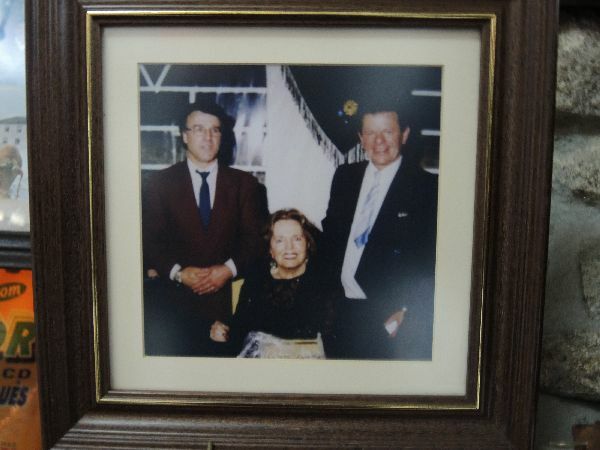 An array of photos featuring the owner, Sr. Delfim, adorn many of the walls including one with Portugal’s most famous fado singer Amalia Rodrigues. 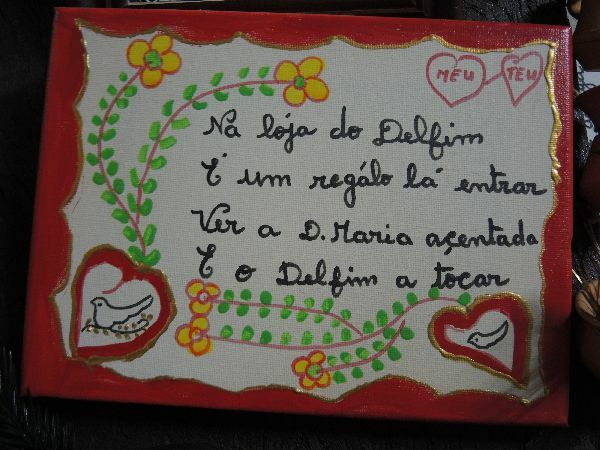 Other items on display are photographs that appear to be of Sr. Delfim’s old friends and past customers, obsolete bank notes, pens, paintings, handicrafts, baskets, mugs, plaques with poems – you name it, Sr. Delfim has it! 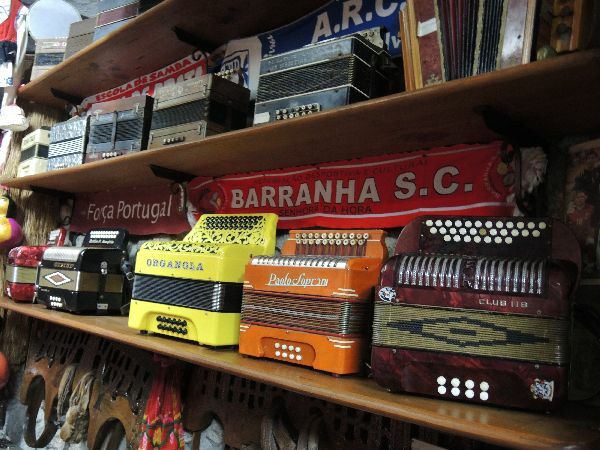 But what is obviously part of Sr. Delfim’s pride and joy is his magnificent collection of colourful accordions aligning the shelves of his walls. When we walked in through the doors, one couldn’t help noticing the warm and friendly atmosphere which was topped off with Sr. Delfim jumping up and playing some tunes on his accordion. Tascas are a tribute to the Portuguese people and although they have always existed some certainly have died out with the closure or remodeling of old buildings but the trend in their popularity has recently risen throughout the country as they represent an old and traditional culture where people can have a hearty meal and a good glass of wine for a lower cost. Friends of Tascas Assocations now exist with groups of people working to save the typical tasca from dying out by ensuring that they arrange for frequent group dinners and get-togethers at different ones on a rotatory basis. Newspapers and websites share information on which tascas should be visited and their specialties and what is happening locally. The people behind the counters are in many cases the owners of these unique establishments and share a joy in serving their new-found clientele of all ages. We hope that the Portuguese tasca will not die out and that more followers will join in keeping this part of history alive. The photo selection below of Sr. Delfim’s tasca tells all! Enjoy…. This entry was posted in Lunches, Minho, Portuguese Food, Tascas, Uncategorized and tagged Amália Rodrigues, Arcos de Valdevez, Minho Province, Northern Portugal, Petiscos, Portuguese Food, Portuguese Tasca, Spanish Tapas. Bookmark the permalink.